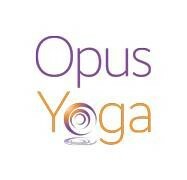 Start taking classes at Opus Yoga and other studios! A Beginner level class which incorporates breathing exercises, alignment, physical postures and relaxation to open, stretch and strengthen the body. Suitable for starting students or for growing students who prefer a more basic level practice. There are no upcoming “Beginner Hatha” classes on this day. Rachel is super enthusiastic and very motivating! She is very conscious of reminding people to not overdo it but still lovingly corrects any mistakes in posture! I highly recommend this class just the right amount of challenging and relaxing for s beginner like myself! Great build up beginner class, limited flow. The sub Gabby was great! Loved the teacher...relaxing but not much of a workout.